The eighth generation Volkswagen Passat keeps the spirit of Volkswagen alive - delivering all the necessities and a little bit more, to make it an experience that anyone would love to savour. Once upon a time, the luxury car market in India was a truly niche category. Even in the Tier I cities, spotting a car made by one of the European brands was a novelty, and that novelty itself carried on its shoulder a large chunk of the sizeable price tag that cars in this category command. 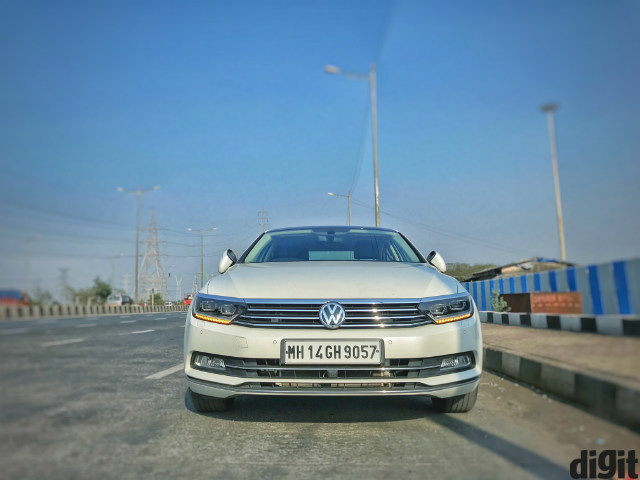 The Volkswagen Passat may have missed that era by a few years, but back in 2010, when it was introduced in the Indian market, it still held its ground as a full-size luxury sedan by a brand that was aiming for a more mass-market appeal as Volkswagen India. Back then, luxury sedans were majorly about the weightage of the brand, and most car buyers went by how long the car’s wheelbase was, and how excessive the legrooms were. Throw in features like a sunroof, wireless phone connectivity and ambient lighting, and that’s what the recipe for most luxury sedans was. Now, though, a lot has changed about car buyers in India, just like the car in question itself - the new generation Volkswagen Passat. How does it shape up? 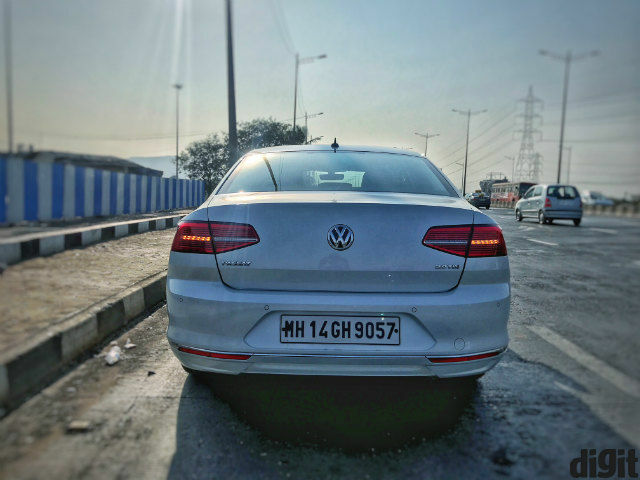 Back in its first stint in India between 2010 and 2014, the Volkswagen Passat was immediately recognisable by its bold front grille, the massive VW logo, and the minimalistic rear end. 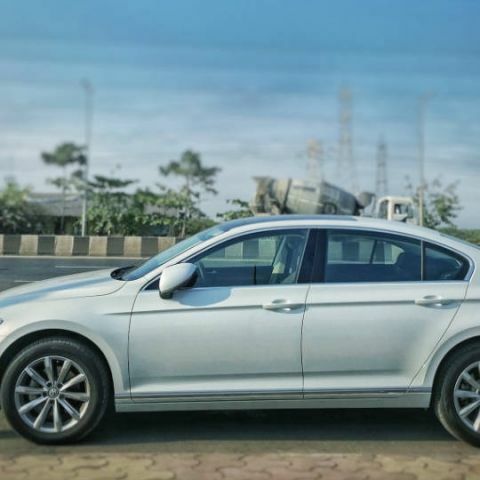 Re-introduced in India in 2017, I was quite happy to note that the Passat actually retains much of its original character. The new Passat, as with every new generation car, looks smarter and sharper than before. It is visually identical to Audi’s entry-segment sedans, and that’s no surprise. It shares the same MQB platform with the Audi A3, and while the new generation Audi A4 is now based on the newer MLB platform under the Volkswagen Group, the visual cues remain. However, at 2,786mm, the Passat’s wheelbase is significantly longer than that of the Audi A3, which measures 2637mm. This long wheelbase gives the Passat a stretched-out look, and adds flair, elegance and an air of stable sophistication in the way it goes about its business. The sharper creases, clean lines and gently swooping curves further accentuate this look, and the sizeable 17-inch wheels make it look planted to the road. However, that is not all that’s to be appreciated. The eighth generation Volkswagen Passat comes with a host of technology and electronics on board, defining the changing preferences and demands of the new generation car buyer. We’ll talk about this in more detail in a bit, but take the proximity sensor-equipped ‘easy-open boot’ for instance, which identifies if the key fob is around, recognises the foot swipes and opens the boot automatically without needing physical contact, and you would know what we’re on about here. 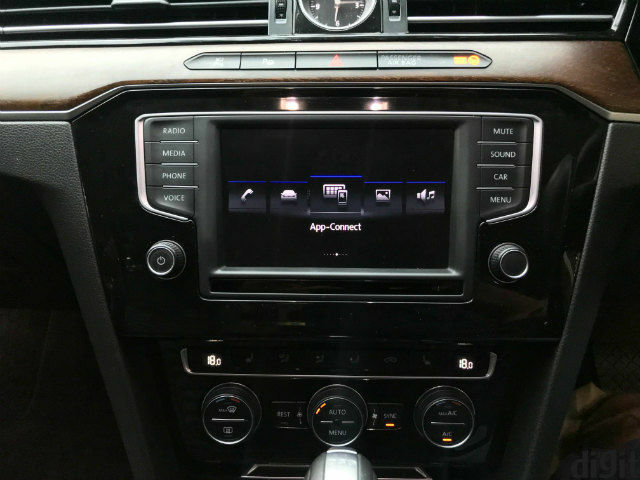 The Volkswagen Passat is powered by the ‘Composition Media’ touch-based infotainment system on the inside. The setup is familiar for anyone who has been in a Volkswagen/Skoda car before, and while the familiarity and ease of usage is always welcome, it is slightly unfortunate to note that as most manufacturers switch to radically new, shiny, high fidelity displays in cars, the Passat still does with a matte touchscreen display that doesn’t really wow you with colours, fancy icons. In short, it isn’t a system that will immediately catch the eye, or become a compelling factor of purchase. However, that is how the rest of the car is, too. In terms of features, you get an 8-inch display that is supremely responsive, and even has a proximity sensor to identify if you are about to operate it. This way, when you are not using it, the Composition Media firmware automatically hides away the edge borders, on-screen buttons and tabs to maximise viewing area, which in turn helps when you have loaded navigation maps on to the system. You get standard wireless connectivity via Bluetooth, which enable wireless audio streaming and telephony. The telephone app also lets you configure five shortcuts, and gives a full-size numeric keypad that is easy to use when you’re on the move. You can also access your recent call lists here. Connectivity is also incredibly simple. For wireless connectivity, you can simply tap on ‘connections’ when you access settings, and pair your phone. You can also connect via USB, in which case you get access to Apple CarPlay and Android Auto. The system also supports MirrorLink, if you happen to use the same when on road. You also get an image and video browser, but they are only accessible when the car is stationary, to prevent distractions. To sum up, there is no dearth of features except for a native navigation setup, which is quite surprising. Standard inclusions to the technology package include the multi-speaker stereo sound system. However, many may be a bit disappointed to find that unlike the branded audio setups found in many full-size sedans and in the luxury segment, the Passat does not come with brand-certified speakers. Volkswagen also does not specify optional upgradable audio setups for the Passat, and anyone looking to upgrade the standard audio system will have to look for aftermarket options. The sound system is decent, but does not particularly stand out in terms of the audio performance. 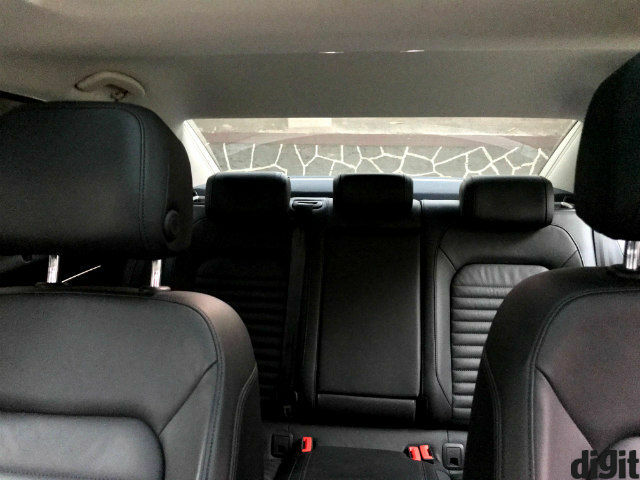 The pristine sound-and-vibration insulation that the Passat comes with helps its case, but there is certainly room for improvement here. You get the standard array of equaliser, balance and fader options to tune the audio by a margin, but that’s as far as the customisability of audio goes. On the instrument cluster, you get two large chrome-garnished dials for the speedometer and the tachometer, with the smaller fuel gauge buried within the speedometer and the engine temperature gauge within the tacho. The electronic needles are illuminated with red LEDs, which further adds to the overall ambience at night. 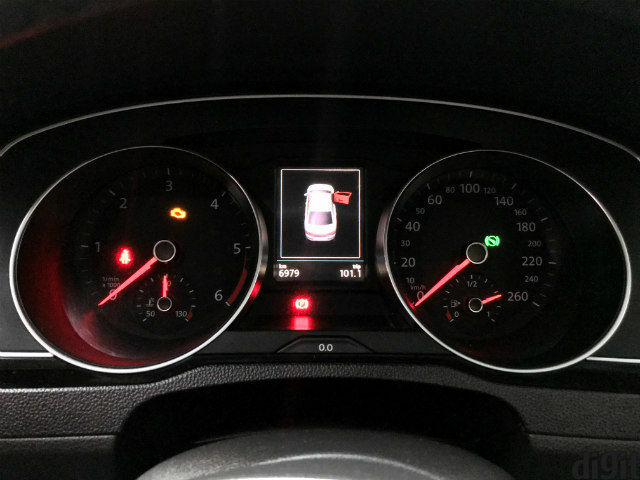 A bunch of warning lights are placed around the instrument cluster, and the digital multi-colour MID is placed between the two dials. The overall layout is fused with old-school elements and digital inserts, but at no point does the entire arrangement feel discontinuous. The MID itself essentially mirrors the infotainment system, as seen in all Volkswagen and Skoda cars. You can access telephone and audio controls, along with a trip meter, odometer and make changes to your car’s settings, including lighting, central locking, key fob actions and more. The steering-mounted controls coupled with the MID’s options make it a wonderful addition to the overall system, and adds to the overall ergonomics of the car’s technology package. 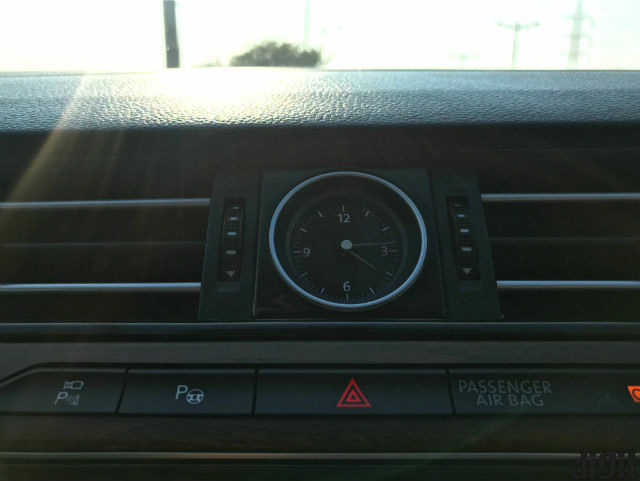 There is no HUD, but the MID in the instrument cluster almost functions like one. You do not get the connected telematics infrastructure to enable cloud connectivity, and no gesture-based controls, either. The absence of these features do make the infotainment system function more like a straightforward, old-school setup. 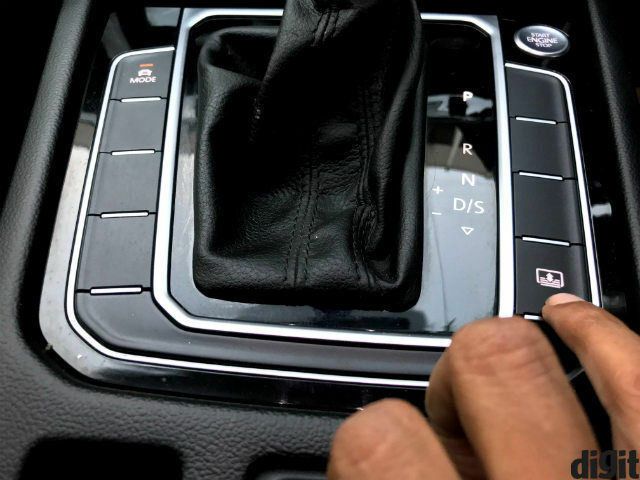 However, you do get native voice commands which also work with Siri and Google Assistant, and there are a bunch of features that the Passat’s technology package offers in India beyond the standard few. Despite the few cons, the Volkswagen Passat has a lot to offer its buyers. 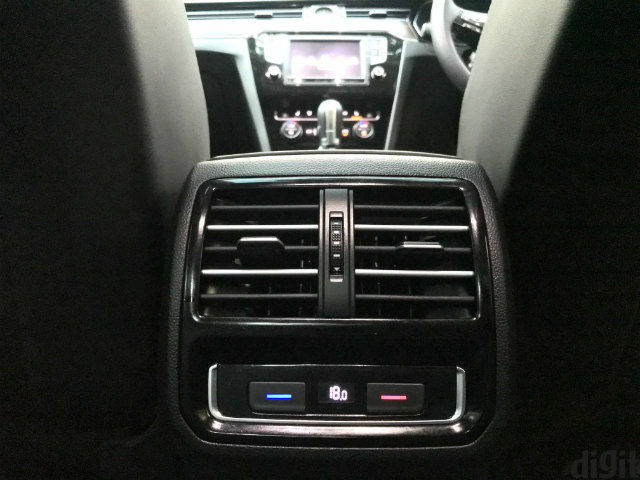 To aid the luxury proposition, the Passat includes ambient lighting with footwell illumination to create a premium ambience. The lighting is subtle and minimal, just like the rest of the car’s design language and feature set, but surprisingly works well in achieving the objective. 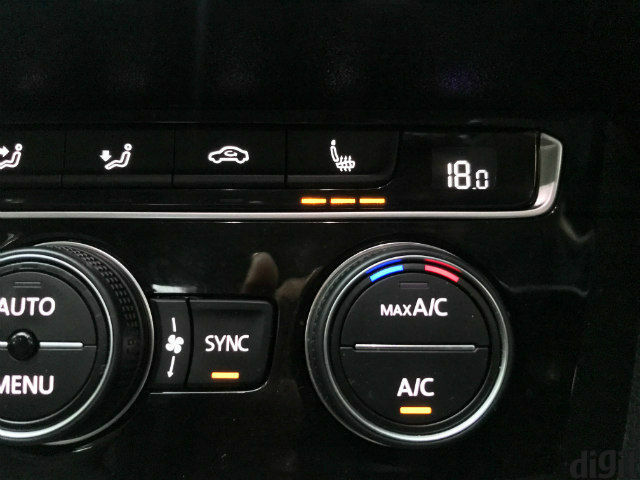 You also get three-zone climate control, with separately adjustable temperature zones for the front two seats and the rear row. There is a bunch of options thrown into the seats as well - you get electronically adjustable front seats, which also include adjustable lumbar support, seat heating and a range of massage options for the front passengers. The seat massagers are fairly sufficient, and help keep fatigue away. The seats themselves are very well bolstered, but more on that later. The rear seats come with the same bolstering, but do not get any sort of ventilation and massage options, keeping in line with what you may expect in this segment. You get an electronic sunroof, which is quite vast in size keeping in line with the size of the Passat. While the sunroof is in line with what you’d expect from this segment, the gesture-opening ‘easy boot’ is a more modern take. With this, you can simply wave your foot below the boot, and the proximity sensor sends a low power signal to locate the key fob. If the key happens to be in your pocket, the sensor identifies it and your foot gesture to automatically open the boot, which makes it a neat feature to have if your hands are loaded. You also get an analogue clock at the centre of the dashboard up front that automatically adjusts itself with the time reading on the infotainment system, which adds a dash of class to an already classy interior. The Passat also comes equipped with a 360-degree surround-view camera. The rear parking camera is aided by the Volkswagen ParkTronic rear parking sensors and histogram relayed by the proximity sensors. A bunch of other cameras placed strategically around the car synthesise the overall view, which helps immensely when you park in tight spots. The surround camera and sensor setup also equips the Passat with the necessary hardware to enable features like cross-traffic alerts and other proximity-based ADAS features, and the only advanced feature that the Passat gets here is Assisted Parking. With this, the Passat can automatically identify empty parking spaces, and execute parallel and perpendicular parking, as well as drive itself out of the parking slot. However, this is not fully autonomous parking and you need to be in control of the throttle and brakes, with the steering wheel being controlled automatically by the central computer. You also get manual suspension height adjustment, automatic headlight beam adjustment, active cornering lamps, and adaptive rain-sensing wiper control with automatic, intermittent operation mode. This comprehensively wraps up the range of technology that the Passat offers, which adds to the elegant, understated status of the Passat - even though it may seem to miss out on a few things and nothing stupendous in particular, the range of technological features that it offers is sublime, sufficient and all-encompassing. The only things that you truly miss here are a native infotainment system (still beats us why) and an upgradable, high fidelity audio system, including which the overall technology package would have been perfect. The overall design of the Volkswagen Passat is very similar to what the previous generation car offered. While the length is retained, the new Passat now has a sharper grille with four distinct chrome slats creating a wide, imposing facade. Further additions of chrome are around the front fog lamps, window skirts and door skirtings. The rear tail lamps are all-LED, finished in dark red to add a tone of contrast to the body colour. On the inside, the AC vents, dials on the dash and the steering control panels get chrome outlining. The Highline trim of the Passat gets piano black panels, contrasted by matte faux veneer ‘Olive Ash Silkwood’ inserts that run along the central horizontal line of the dashboard and along the doors. Any bits of plastic are finished with soft touches, and the seats themselves come with leather upholstery. There is a solid, reassuring nature in the way the entire car is built. The Highline trim that we drove gets nappa leather upholstery, with textured back rests that have excellent bolstering. The seat pitch is wide enough for pretty much everyone, with great thigh support even in the rear seats. The recline is good, although it still feels a touch upright. What you do get in ample, no matter how tall you are, is leg and knee room. There is plenty of shoulder room as well, and head room is decent, despite the low roof line. The wide windows make the overall cabin feel spacious, which is further heightened by the sunroof. You also get manually operable native sun blinds, which adds to comfort and ergonomics. The interior rear view mirror is auto-dimming, which helps prevent glare from cars behind you. All passengers - including the driver get reading/vanity lamps and armrests in the Passat. The front armrest can be adjusted for height and lateral positioning, and includes a hefty storage bin underneath the armrest. With the range of adjustments available for the seats, it is quite easy to find the right spot of comfort in terms of the seat and armrest - yet another win for clever, effortless German engineering. The rear armrest, too, is nicely pliant and includes two decently-sized cup holders. However, the bottle holders on the door are slightly shallow, and stowing large bottles may be a bit of an issue here. The rear row of seats also gets three headrests and three seat belts, and it should be fairly comfortable to sit three abreast the rear row. However, the slightly protruding central channel - with the air condition vents and the 12V power socket does restrict knee and foot room. The eighth generation Volkswagen Passat is powered by the trusted 2-litre, 4-cylinder diesel engine that produces 177bhp and 350Nm of torque. This is paired with the equally trusted 7-speed DSG gearbox, along with McPherson strut front suspension with anti-roll bar and rear multi-link axle. VW has also included its electronic variable power assist module to the steering wheel, and the Passat plies on 17-inch alloys with a 66-litre fuel tank. Hit the road, and it almost feels like the Passat puts a balm over the corroded roads, the cacophony of noises around you and a hundred other aberrations. 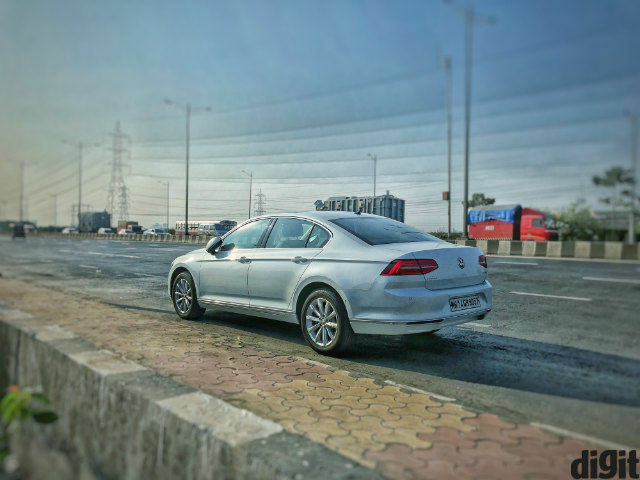 The in-cabin insulation of noise, vibration and harshness is simply supreme, and the stupendous suspension balance veers towards the softer side to make the Passat an incredibly comfortable car to drive around the city in. The engine is responsive, and barring the slight lag in the initial revs, loves to charge forward with limp agility and eagerness that gives the Passat a completely different character of its own. All along, you feel that you own and drive a special piece of engineering. The Passat is over 4.7 metres long and weighs 1.5 tons, but not for a moment do you feel that you are driving a heavy, long car. It is, however, important to say that the heft of the car is maintained all along, and the low centre of gravity gives it a planted nature that gives confidence to attack bends and corners at triple digit speeds. There is negligible body roll, and that too comes out when you are really pushing it. Another thing that you feel when you push the Passat really hard is its limousine spirit - it is not meant to be pushed aggressively. The softer suspension gives a slight undulation when the tarmac hits rough patches, and the gear ratios are long enough to let the engine rev smoothly. As a result, the Passat may not be the most aggression-happy car in the world, but that’s okay. "The timeless spirit of effortless comfort"
You see, the Volkswagen Passat is built to last. It is built to let you travel in comfort, be it in the driver’s seat or in the rear. In the back seat, you can plonk in a cup of coffee in the central cup holder, pull up the sun blinds, set the temperature and air flow to what you please and spread your legs out to simply relax. 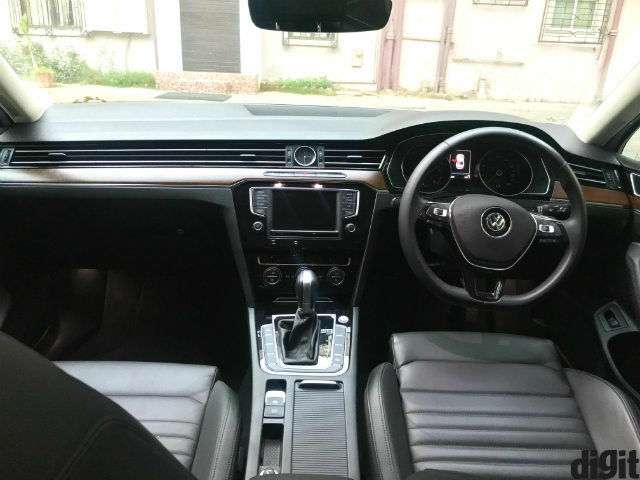 In the front, you can cruise along happily, with such a large sedan happily posting fuel economy figures of over 14kmpl on the highway, with the sunroof open, savouring the privilege that the Passat allows you. The Volkswagen Passat is all about the timeless spirit of effortless comfort, and that is where the few missing elements in the technology package do not bog you down. You are going to enjoy this one, no matter what.